With this being Spina Bifida Awareness Month, my Facebook newsfeed has been flooded with pics, posts and videos of different stories of those living with spina bifida. I love it. I love that spina bifida gets some airtime every October. 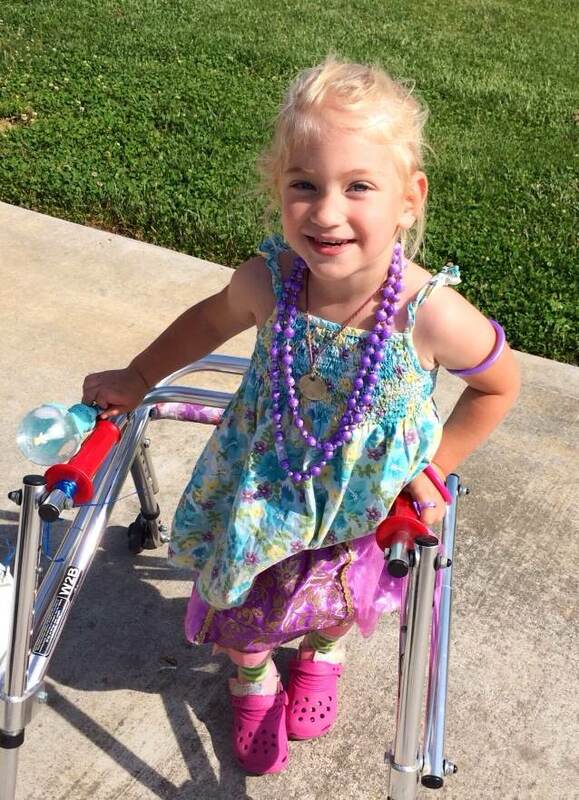 I think it’s important, and I think it’s good, because, really, so few people know what spina bifida is and there seems to be a lot of misconceptions about it and those who live with it. The first time I ever heard the word “spina bifida” was when my doctor told me the baby growing in my belly might have it. I hung up the phone and went straight to the computer and googled it. As soon as I saw all the search results, I clicked off the page. I was sick with fear. We went to a specialist and had a gut-wrenching, three-hour-long ultrasound which confirmed the diagnosis. Then, the specialist gave us an option of abortion… never an option for us… and so he began to talk frankly about the quality of life, or lack thereof, for our daughter who would be born in just a few months. Again, I was completely sick with fear. It’s been almost five years since Carsyn’s initial diagnosis. I’ve learned and grown so much. And I know I’ve changed for the better during this time. It’s been hard, but it’s been good. And now, looking back over the last few years, there’s so much I wish the scared, 29-year-old pregnant me would’ve known before I first googled those words. Maybe someone reading this has or knows someone who has a baby growing in their belly with SB or some other diagnosis. Maybe you’re scared of the unknown. Maybe this will help. 1. Your child is hilarious. She has a smile that lights up a room. Her laugh is contagious. Her eyes are bright. Her will is strong. Her perseverance is unlike anyone you have ever known. She is resilient, and her inner strength is palpable. She is full of life and full of joy. She makes you really, really happy. 2. Your child is stubborn. Really, really stubborn. Maddening at times, but you’ll know this stubbornness, this resiliency, is a gift from God for her. It will prove to be a valuable personality trait in her life. 3.Your child will love you. I mean, really, she will have a deep, deep love for you. She will want you to hold her and lay with her in bed. She will want you to play dolls with her. She will want you to make lots of snakes and balls out of Play-Doh with her. She will want you to find worms with her and build sandcastles and blow bubbles and go to the park and sing like a fool to her and do the underpants dance… (You will learn that dance, and it will make you laugh for days and days and days). 4. This — this special needs parenting thing — this is hard. It will be hard mentally, emotionally, physically. It will be hard on every level, in every way. Other people may think they get it, but the truth is, no one can possibly understand special needs parenting, unless they themselves are a special needs parent. Your eyes will be opened to a whole community of these beautiful people. You will become friends with a handful of them, and your life will be so enriched in knowing them, their incredible kids and their amazing stories. 5. You will begin to really understand what it means to live a lifestyle of celebration and thankfulness. You will live with such a big sense of gratitude for even the smallest things. No longer will you take the little stuff for granted. You will see how blessed your family and your life is. You will quickly learn not to compare and not to dwell, for even a second, on the things you can’t do, or the things that are harder for your family to do now that you have a child with physical limitations. Rather than dwelling on what is not, you will celebrate all that is. You will indeed find yourself living a lifestyle of celebration. I mean, sidewalks! Even sidewalks are a reason to celebrate! Lucky you! You get to celebrate sidewalks. You find reasons for celebrations every single day! Everything in your life is going to just look more beautiful. I promise… even on the bad days, you will live with such a sense of gratitude and will carry such a spirit of celebration, that everything in your life will become more beautiful and more alive. 6. Every person in your family will sacrifice something at some point. It won’t be easy… on anyone. But with every challenge, your family will get closer… and stronger. In a few years, you will look back and you will see how your family is different than most, and how this difference has done something beautiful and special in your kids and your marriage… and you are all stronger and more unified because of it. You will indeed be family strong in a way you can’t even imagine right now, and you will be so thankful for this. 7. You will learn God’s goodness. No longer will this be just a concept in your head or a thing that sounds good coming out of your mouth. The truth of His goodness will become a tangible reality for you which will forever affect the way you see life. It will be so real that you will never question Him or His goodness again. You’re going to have an intimate relationship with God like you’ve never known before, and it will change everything in your world. 8. You will be challenged more than you’ve ever been before. You will watch your daughter go through things that will make you feel like your heart is being ripped out of your chest. There is no pain like watching your child in pain. You will learn this firsthand. And it will cause you to live with empathy and compassion for others. You will care more about others and less about yourself. You will become more charitable. A deeper, more true, sincere love for others will be birthed in you. The things important to you now, won’t be as important to you five years from now. What you walk through with Carsyn is going to give you a new perspective on life and the way it is meant to be lived. And you’re going to be so grateful for this change because it’s going to bring so much more joy and purpose to your life. 9. Hope. You are going to come to understand the true meaning of that word and it will be life to you. It won’t be wishful thinking. No, the hope you will come to know and carry will be more real than a wish. It’s the confident expectation of good. You will confidently expect to see good things happen in and through Carsyn. You will expect to see miracles. Your face will be set like a flint, and it will not matter what anyone else says or thinks or believes about your daughter and her future. The hope you will carry will be bigger and more true than any words you will hear or things you will see with your natural eyes. This hope will be as real and life-giving to you as the air you breath. It will fuel your faith. It will change your life. 10. Hey, I know you’re scared right now. I know you’re fighting back fear with every breath you take. But let me tell you something… This girl, your Carsyn Grace, this girl is going to change your world in the most beautiful, amazing way. Everything about you, your marriage, your family, your future… everything will be upgraded because of her presence. You don’t have to be afraid of anything; God is with you. He will lead you, guide you, speak to you… He will help you every step of the way… And this sweet baby growing in your belly, she is perfect. Absolutely perfect. This post originally appeared on Hope Calling. Celebrate different. Like us on Facebook. Jen Grubb is married to the love of her life. 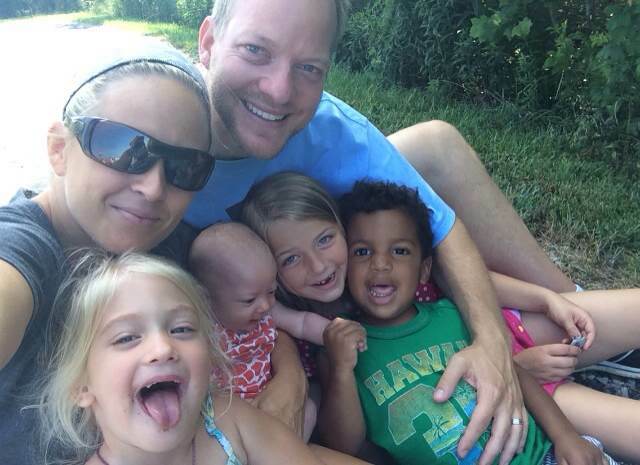 She’s a former collegiate soccer player and coach turned stay-at-home mom to her amazing kids — Riley (6), Carsyn (4), Isaiah (2) and Bailee (6 months). She’s a lover of life, people and all things beautiful. You can read her work at Hope Calling.